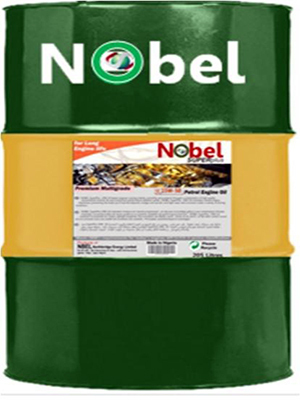 Nobel Superplus is a high performance multigrade, heavy-duty oil specifically designed for a wide range of diesel and petrol engines requiring API CH- 4(diesel) or SL (gasoline) performance lubricants. Extend engines life by controlling deposit and controlling against wear on highly loaded metal components under severe service conditions. Maintains excellent control of oil consumption and protects against rust and corrosion. CH4/SL meets all heavy duty diesel engine OEM requirements.